Inexpensive Personalized Leather Coasters in Bulk, Set of 4 -Promotional, Custom Printed or Blank. Leather coasters in bulk, personalized with your custom imprint in Gold. 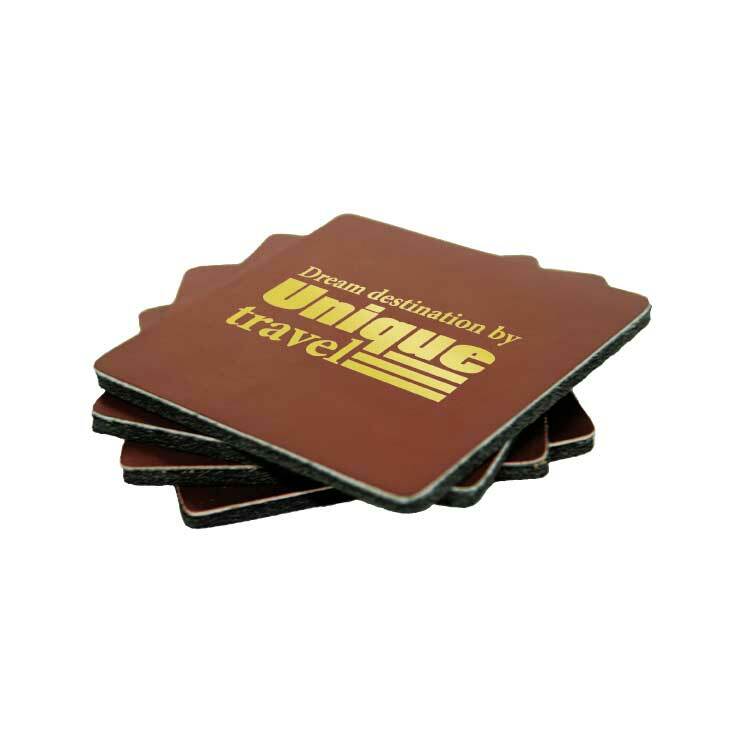 These fine quality coasters are made from eco friendly leather backed with non-slip rubber backing for security. Budget Prices in USA and Canada for wholesale personalized leather coasters . American clients pay no taxes. Unit prices below are for a set of 4 coasters and include your 1-color custom imprint on all 4 coasters. Production Time: 5 working days after art approval; Blank (not custom imprinted) leather coasters ship next day. 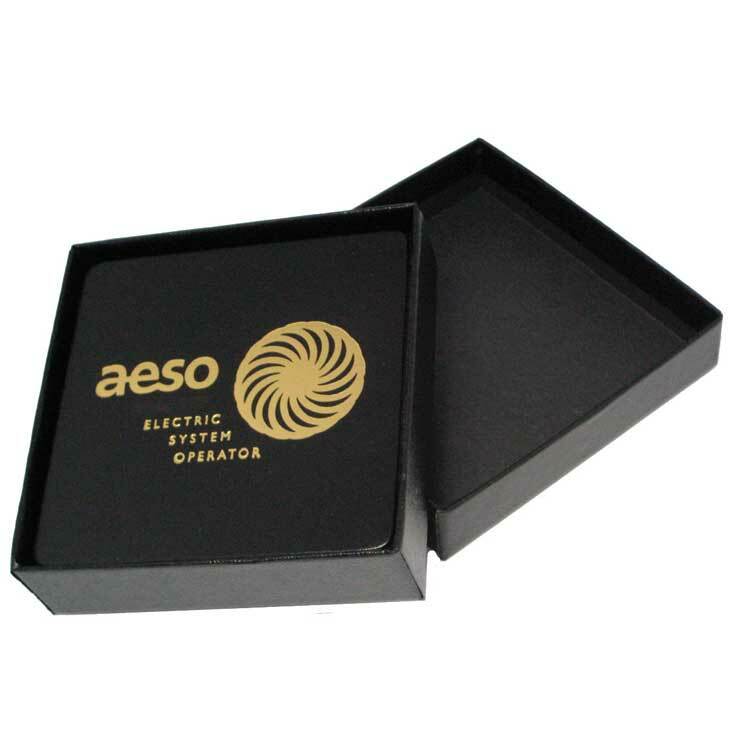 Set of 4 coasters in black gift box. Colors: black, tan, navy, red, orange and yellow. Imprint: Gold screen imprint on one side. Imprint size: 2 3/4" x 1"
GUARANTEE :We guarantee all product for imprint quality and against manufacturer's defects. Your satisfaction is guaranteed.